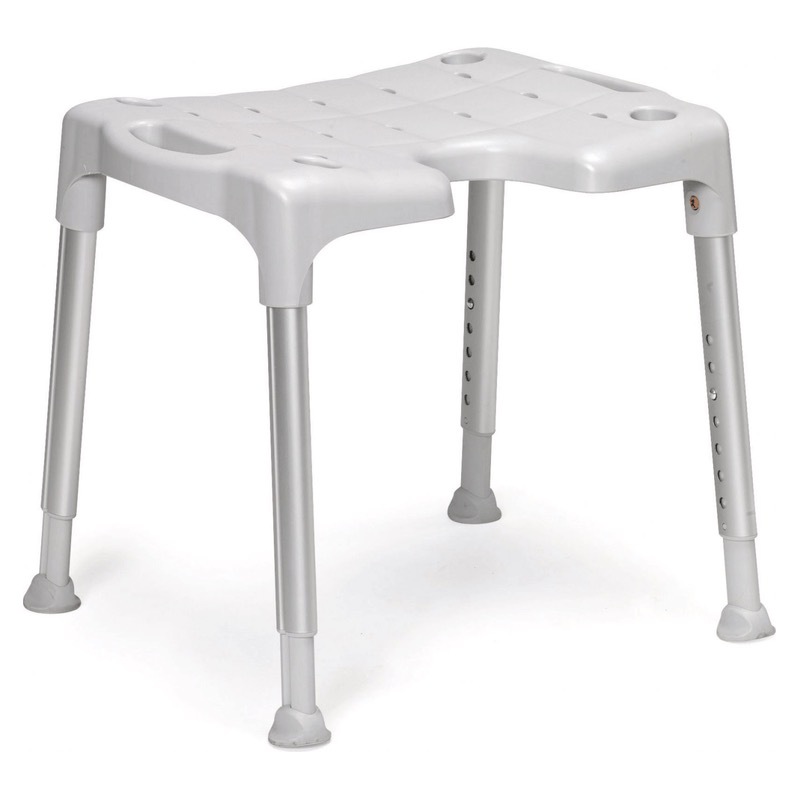 The Etac Swift is a fully adaptable shower chair/stool that can easily be altered from a simple shower stool to a complete shower chair incorporating arms and backrest depending on the user’s needs and how these needs change. The Swift is fully height adjustable from 440 to 570mm, to facilitate different user heights. The Swift shower stool or chair come in a choice of 3 pastel colours - green, blue or grey. The alternative versions in the range are shown below.